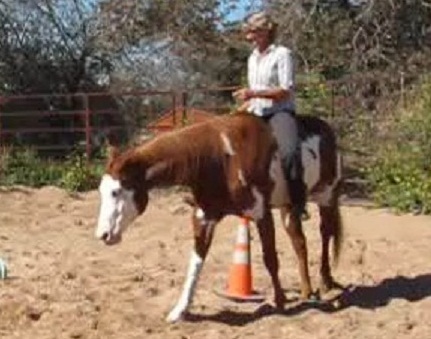 In October 2004 Painted Rock Ranch TX opened their doors and started training horses for outside clients. 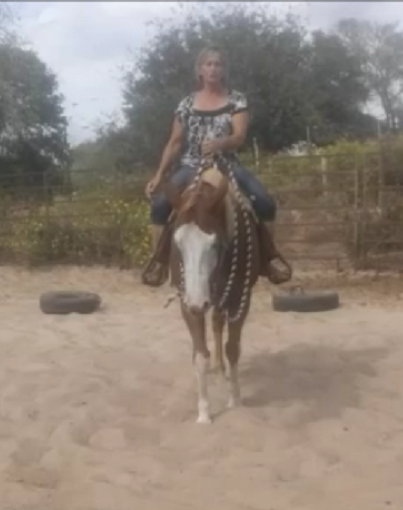 We have started many young colts and have tuned up/trained/retrained a lot of older horses. We always strive to ask very softly and get very precise and specific answers to what we are asking of the horse...this is what it takes to put a soft light handle on them. We do not use any gimics, harsh bits or spurs to start or train a horse. Gina has always been a little horse crazy. 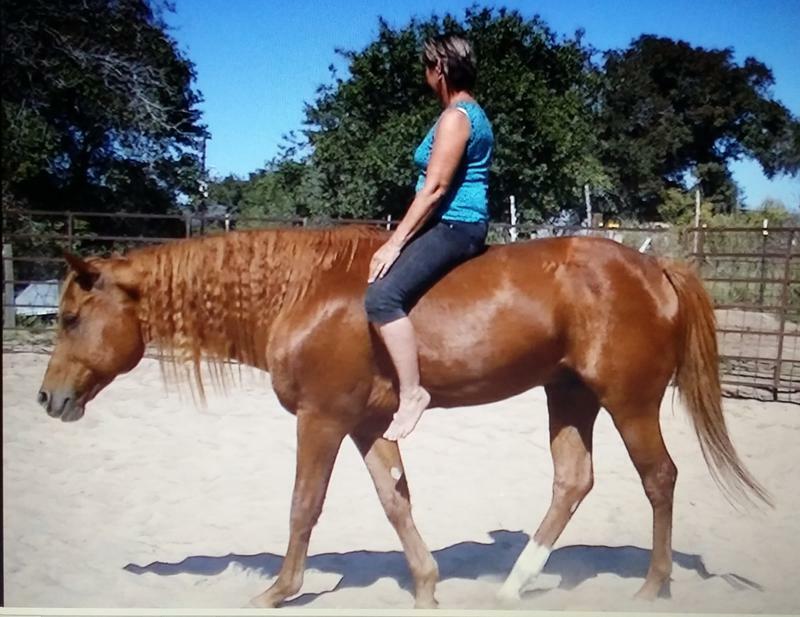 She and her sister received their first horse while they were both attending Jr High. 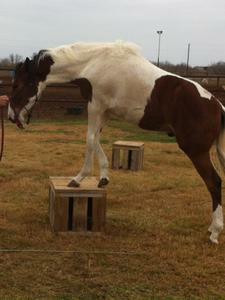 He was a wild un-broke, un-handled two year old... and still a stud colt. His name was Smokey and they soon learned just how full of smoke he really was. 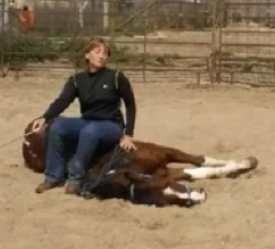 They had him gelded, then their Dad broke him, but he was not broke very well, although luckily he was not a bucker. 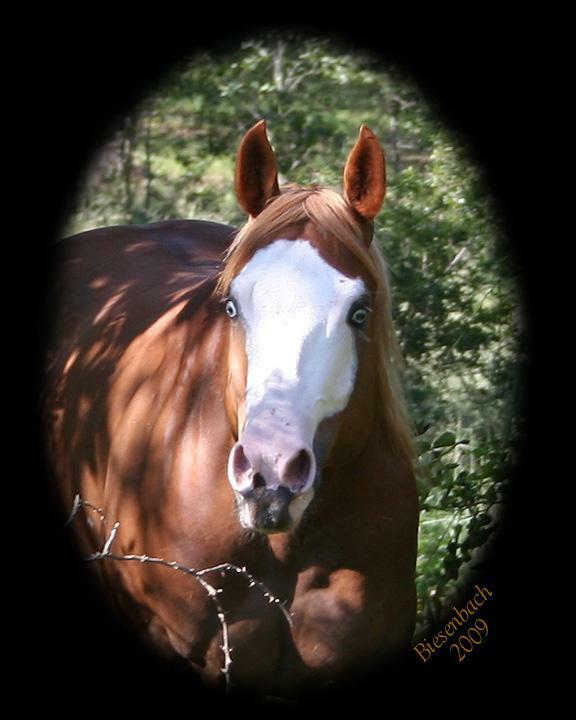 "We didn't know anything about horses...but our dad did the best he knew how" says Gina of Painted Rock Ranch TX. 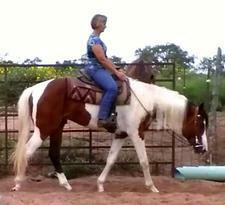 This horse was a run away and a fence jumper...and he would do both of those while you were trying to ride him. You could not stop him if he did not want to be stopped. 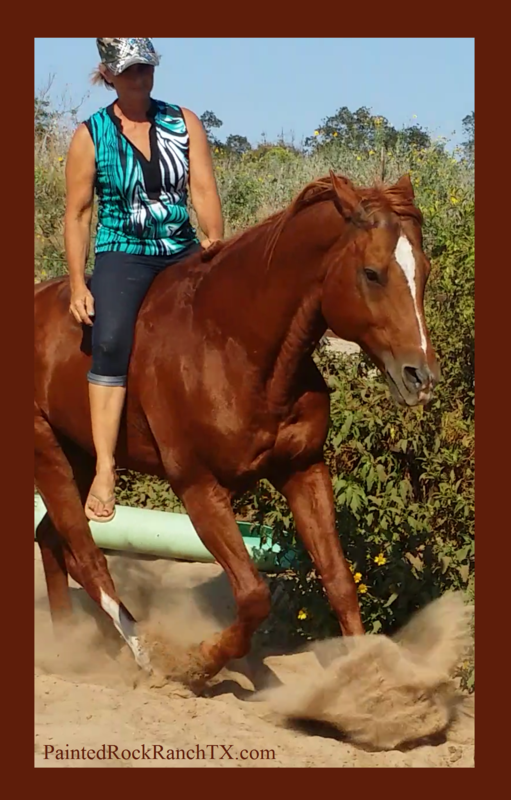 This horse, taught Gina very well that she wanted to have a much better trained, softer and more compliant, safer horse, so she read every horse training magazine she could possibly get her hands on and proceeded to educate herself in the way of training horses...of course in those days the training techniques did not look anything at all like they do today. 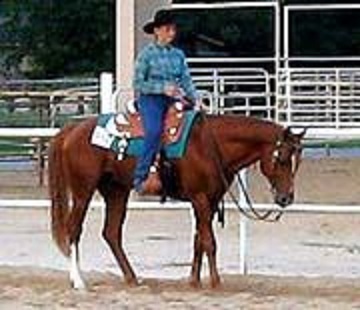 Wouldn't you rather have a horse that you could ride and feel like you were dancing with instead of one that you always have to pull around and kick to get it to go where you want it to? or to do what you want it to do? Or one that will stop nicely when you ask it to instead of trying to always run away with you? 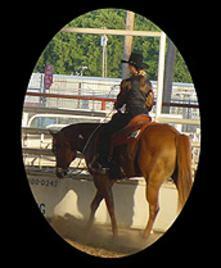 We can work with you and your horse to help you achieve that goal. 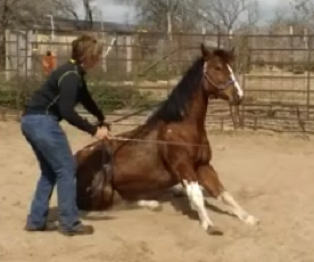 Or-Be sure to check out our Sale Barn page at PaintedRockRanchTX.com to see what horses we currently have for sale that have been trained using these techniques. Contact us today to discuss how we may better serve you. If you would like tips and info to help you get in better partnership with your horse and help them become a better willing partner, then be sure to sign up for our Tips Newsletter.